Longhorn Beetles – Cerambycidae are one of the most easily recognised groups of beetles, a family that worldwide encompasses over 33,000 species in 5,200 genera. With over 1,400 species classified in 300 genera, this is the sixth largest among 117 beetle families in Australia. These beetles often attack and kill living forest or orchard trees and develop in construction timber (like the European House borer, introduced to WA), causing serious damage. Virtually all Cerambycidae feed on living or dead plant tissues and play a significant role in all terrestrial environments where plants are found. Larvae often utilise damaged or dead trees for their development, and through feeding on rotten wood form an important element of the saproxylic fauna, speeding energy circulation in these habitats. Many species are listed as quarantine pests because of their destructive role to the timber industry. 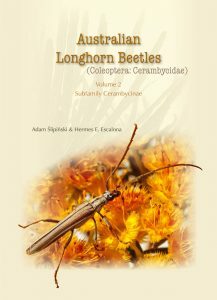 This second of three volumes on Australian Longhorn Beetles covers the taxonomy of genera of the Cerambycinae, with comments on natural history and morphology. One hundred and forty-two Cerambycinae genera are diagnosed and described, an illustrated key to their identification is provided, and images illustrate representatives of genera and of actual type specimens. 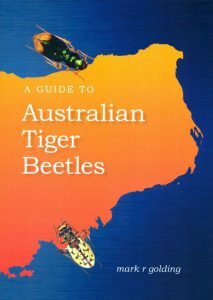 A full listing of all Australian species with synonymies and bibliographic citations is also included. 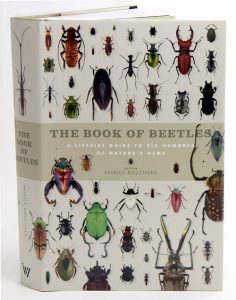 A comprehensive, stunningly illustrated guide to this unusual and diverse family of beetles. Most Australian stag beetles live secretive lives, spending the majority of their life cycle inside decaying timber or under logs sunken in the soil. Yet these active recyclers of the forest are admired by beetle-loving people worldwide. Their aesthetic appeal and the rarity of some species make them of great value to collectors: the beetles in the subfamily Lampriminae are splendidly colourful, while others show an amazing variety in male mandible size and structure. 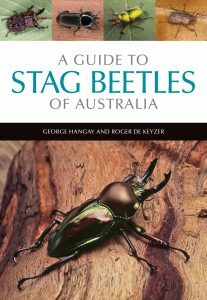 A Guide to Stag Beetles of Australia is a comprehensive account of the 95 lucanid species found in Australia. This book reveals their diversity and beauty, looks in detail at their morphology, habitats and ecology, and explains how to collect, keep and preserve them. Natural history enthusiasts and professional and amateur coleopterists alike will benefit from the use of this guide. The book features some stunning images from entomologist and photographer Paul Zborowski. Paul has over 40 years’ experience of field-based study of insects and related creatures in habitats all over the world. This excellent photographic guide offers people a chance to get familiar with some of the most timid and least seen top order invertebrate predators in Australia – the carnivorous tiger beetles. It is designed to enhance our understanding of our own backyard as there is a massive amount of insect destruction. An accessible but comprehensive overview of beetles, illustrated with 4,500 photographs, in the same vein as Stephen Marshall’s previous popular title Flies: The Natural History and Diversity of Diptera. In Beetles: The Natural History and Diversity of Coleoptera, Marshall has again applied his deep knowledge of the insect world. Comprehensive and packed with 27 pages of richly illustrated keys and 4,500 colour illustrations, it provides the reader with a colourful and enjoyable introduction to the natural history of a huge group of organisms, along with an overview of the diversity of fascinating families included in the group. 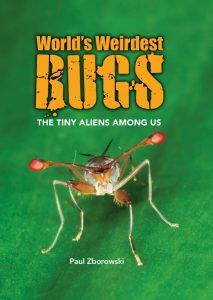 The subject of this book is an enormous one, since the beetles, or Coleoptera, include almost 400,000 named species. Marshall opens with a description of what makes a beetle a beetle, and then introduces the natural history of the order with copious examples and explanations. Part two of Beetles is a guided tour of the diversity of the order, with fascinating stops for all of the world’s 180 or so families of beetles as well as most of the significant subfamilies. Thousands of photos, almost all taken in the field by the author, are used to capture the range of form and function in each family, with pages of examples of the popular groups – such as fireflies, tiger beetles, jewel beetles – but also with unique photographs of little-known groups ranging from long-lipped beetles to the rarest rove beetles. Essential information about importance, range, behavior and biology is provided for each group, and easily used photographic keys to most families are provided for those wishing to use the book as an identification guide. The profusely illustrated keys in Beetles, linked to the unprecedented photographic coverage of the world’s beetle families and subfamilies, enable readers to identify most families of beetles quickly and accurately, and to readily access information about each family as well as hundreds of distinctive genera and species. This book contains example stories from all over the world. The subject is endless, so the last few chapters simply touch on more weird stories for the reader to investigate further. The so-called ‘honorary mentions’, in this hall of weird fame. And no apologies for squeezing in one non-insect chapter – the spider relatives, the Opiliones, are just too quirky to ignore.. 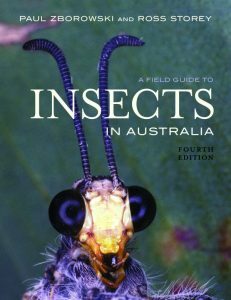 Whether you’re an amateur insect enthusiast, a student or an entomologist, this completely revised new edition of A Field Guide to Insects in Australia will help you to identify insects from all the major groups. With more photographs, species and up-to-date information, it will enable you to differentiate between a dragonfly and a damselfly or a cricket and a grasshopper. You’ll find cockroaches, termites, praying mantises, beetles, cicadas, moths, butterflies, ants, bees and many more. More than 600 colour photographs show the insects in their natural habitats, while more than 50 line drawings clearly illustrate the differences where identification is tricky. Paul Zborowski is an entomologist and photographer based in Canberra. He has studied and photographed insect behaviour around the world and now concentrates on maintaining a macro photo collection which can be visited at www.close-up-photolibrary.com. Paul has revised this edition and continued the legacy of his esteemed friend and colleague, Ross Storey. Ross Storey spent most of his professional life studying, collecting and curating insects for the University of Queensland and the Queensland Department of Primary Industries. He described many new species and wrote scientific papers, especially on native dung beetles, on which he is a recognised world authority. Before his death in 2008, he worked as a taxonomist and curator of the QDPI’s Mareeba insect collection, one of Australia’s premier collections of tropical insects. Identifies insects from all the major insect groups. Artist/Author: Bosuang, Steven, Arthur Y.C. Chung and C.L. Chan. Borneo’s mesmerising natural biodiversity is made up of very many species, including beetles, and very many are also endemic or confined to this island. It follows that it is virtually impossible to attempt including all beetles in the present account. This pictorial guide covers more than 150 beetle species, including some of the most captivating or even inspiring forms known. To foster better awareness and showcase the high diversity of tropical beetles, we feature some large and interesting beetles as well as others commonly encountered in Borneo. 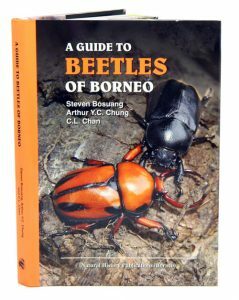 More than a third of those featured in this book are endemic to Borneo. Artist/Author: Edwards, Penny, Pam Wilson and Jane Wright. 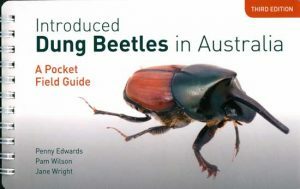 This field guide to introduced dung beetles in Australia covers all species found in Australia, including two species that have been newly introduced. Provides information for easy identification along with a distribution map. This book will enable farmers, Landcare workers and the interested public to identify and learn about the basic biology of these beetles found in cattle dung. Artist/Author: Lingafelter, Stephen W.et al. This title is not held in stock but we are happy to supply on special order. Please contact us. 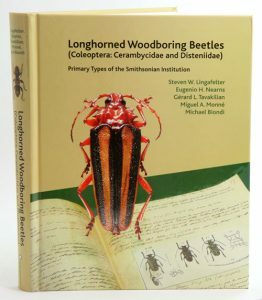 In terms of quantity and breadth, the Smithsonian Institution’s collection of longhorned woodboring beetles is one of the most important in the world. The effort to establish and describe this collection began as early as 1889, when the Smithsonian hired its first coleopterist (who was also only the second salaried entomologist at the Institution). In the years that followed, the collection grew thanks to the work of not only Smithsonian and U.S. Department of Agriculture entomologists, but also passionate amateur coleopterists who collected thousands of beetle specimens as they traveled the world for their professional occupations and then donated their unique collections to the Smithsonian. By 1957, the collection included nearly 200,000 specimens from around the world. “Longhorned Woodboring Beetles (Coleoptera: Cerambycidae and Disteniidae): Primary Types of the Smithsonian Institution “is the first complete catalog of Coleoptera primary types housed at the Smithsonian and includes stunning full-color images of each type specimen. The product of more than a decade of curatorial research and care, it reaffirms the superior international status of this truly remarkable collection. Boasting an extraordinary visual diversity, beetles make up more than one fifth of all known life forms on earth. This book presents 600 significant examples, selected as part of a genome program. They are shown in glorious high definition photographs, life size and in detail, alongside an engraving offering a side or open-winged view. Each profile includes a population distribution map, a table of essential information, and a commentary revealing notable characteristics, related species, and a diagnosis of the specimens importance in terms of taxonomy, rarity, behaviour, and scientific significance. 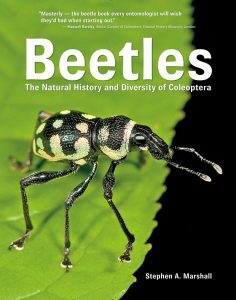 Arranged taxonomically, this essential reference reveals the variety, importance and beauty of beetles. Artist/Author: Lawrence, John F. and Adam Slipinski. 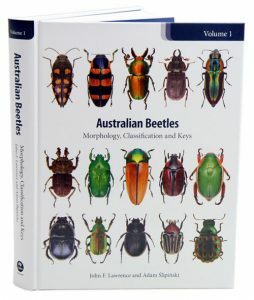 The first in what will be a three-volume series presenting a comprehensive treatment of the beetles of Australia, a relatively under-studied fauna including many unusual and unique lineages found nowhere else in the world. This first volume updates and expands Lawrence and Britton’s out-of-print Australian beetles, with improved keys to all beetle families found in Australia, expanded family diagnoses as well as modern classification and additional illustrations. The introduction to beetle morphology and anatomical terms clarify characters and terminology used in the keys; few other resources for beetle identification include such a detailed morphological background. Australian Longhorn Beetles (Coleoptera: Cerambycidae), Volume 1: Introduction and Subfamily Lamiinae. 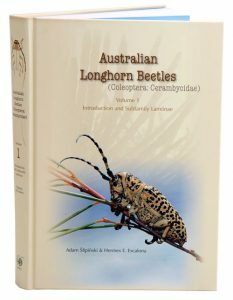 The first volume of a three volume set, this book provides a general introduction to the Australian Cerambycidae with sections on biology, phylogeny and morphology of adult and larvae, followed by the keys to the subfamilies and an overview of the 74 genera of the subfamily Lamiinae occurring in Australia. All Lamiinae genera are diagnosed, described and illustrated and an illustrated key to their identification is provided. A full listing of all included Australian species with synonymies and bibliographic citations is also included. Longhorn Beetles (Cerambycidae) are one of the most easily recognised groups of beetles, a family that worldwide encompasses over 33,000 species in 5,200 genera. With over 1,400 species classified in 300 genera, this is the sixth largest among 117 beetle families in Australia. These beetles often attack and kill living forest or orchard trees and develop in construction timber (like European House borer, introduced to WA), causing serious damages. Virtually all Cerambycidae feed on living or dead plant tissues and play a significant role in all terrestrial environments where plants are found. Larvae often utilise damaged or dead trees for their development, and through feeding on rotten wood form an important element of the saproxylic fauna, speeding energy circulation in these habitats. Many species are listed as quarantine pests because of their destructive role to the timber industry.